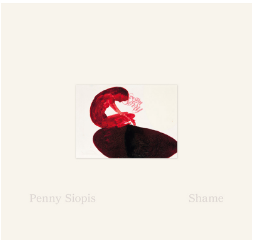 I can’t remember when I first started thinking about shame as fertile ground for empathy. But I do know when I first put thoughts to paper. It was 2000 in Amsterdam, where I was working on an exhibition about South African family history. One day I went to see Long Night’s Journey into Day. A documentary about the Truth and Reconciliation Commission, it told the shameful story of families torn apart under apartheid. On the way back to my room I went into a shop that made rubber stamps, wrote down ‘shame’, and asked the assistant to craft my script. My first impulse was to stamp shame all over my naked body, in glow-in-the-dark ink, and film myself with the lights out. Shame, that all-embracing psycho-sexual, psycho-social thing! Back in South Africa, in the children’s section of the craft shop, I found readymade rubber stamps, hard curlicues of sentimental sayings: ‘I’m sorry’, ‘Get well soon’, ‘Hug me’, ‘Hush little baby’, ‘Forgive as you hope to be forgiven’ … I also discovered paint for decorating mirrors, little plastic scars, eyes of baby dolls, stuff for kids’ scrapbooks. I thought how so much childhood hurt, real or imagined, grows with us, over and over again, as shame. The book is available as a single monograph, or in a limited edition linen slipcase together with Grief.